It has been so hot lately that for light relief I have been doing some weeding in the shady area I call the Oriental or Woodland Garden. 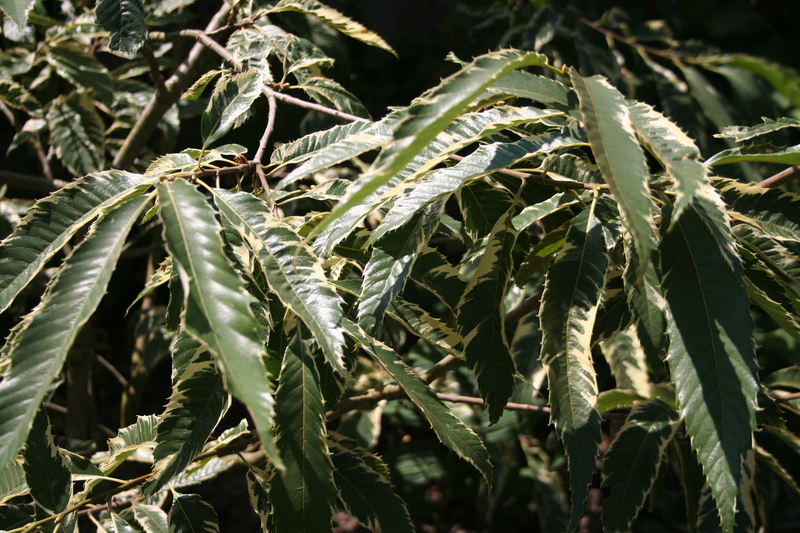 One of the delightful plants we grow there is not at all oriental, a variegated Chestnut, currently a very healthy looking bush. Removing weeds from around it I considered trimming up some of the lower branches but on reflection decided to use them as layers. I really like layering as a technique, mostly because it is completely fool-proof, and we have propagated many plants in the garden this way. My experience with layering goes back to my youth, when I worked at the Royal Gardens at Windsor. A large proportion of these gardens were developed under mature Oak trees and as a result leaf-raking was a major activity in our lives for six months of the year, or so it seemed. Some of these leaves were taken to stacks to slowly break down, to be put back into the ground as soil improver. Huge quantities were just raked onto the shrub beds, where they acted as wonderful mulch. This mulch also provided ideal conditions for shoots to root, having been covered in the process. I would often find nicely established layers of rare and unusual Rhododendrons and other shrubs around the gardens……one or two of these found their way back home to Cornwall. Layering is a long-established, if slightly old-fashioned, commercial propagation technique for a number of plants, still practised for species which are slow or difficult to root. It is useful when a nurseryman requires only a few specimens of a particular tree or shrub, or when large plants are wanted quickly. Layer beds may be established to achieve this, producing plants by systems such as Simple, French, Serpentine or Tip Layering, depending on species. Fruit tree rootstocks are commonly produced by Stool layering. Here at the Academy, I laid down a shoot of our Chestnut into a hole I had dug close by, bringing it up again in a way that formed an elbow approximating a right angle. Soil was packed down on top, this bending interrupting the flow of sap and inducing root formation. In the past I have done the same with Cotinus Royal Purple and Viburnum x. hillieri ‘Winton’, and used other forms of layering with Wisteria, Rubus and many other subjects. I also use it to train plants like Lavender and Santolina, bending and earthing-up a branch to push a shrub in the direction I wish. 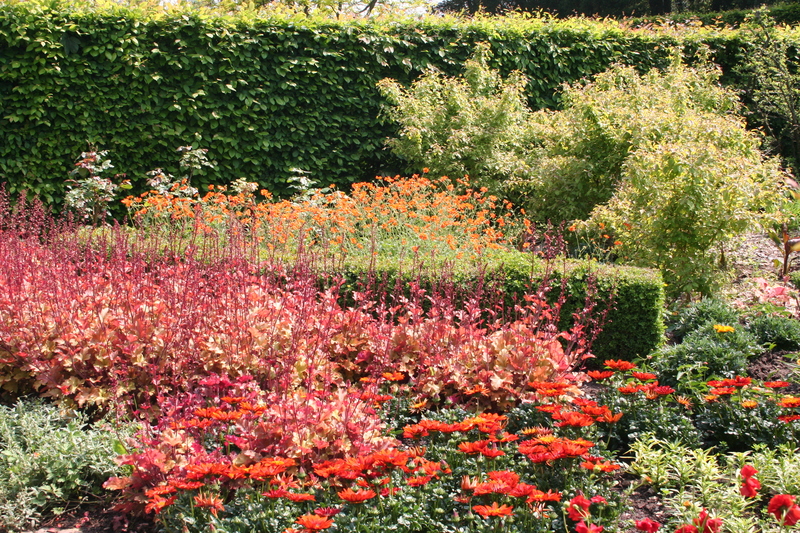 These layers could be removed and sometimes they are – they make nice presents – but often they are just left in place to increase the size of the shrub. We have grown large numbers of bedding plants this year, knowing the garden would be disturbed by the installation of the swimming pool. These are now starting to flower, later than in the village streets and park, but they have better facilities than we do. I like to grow small numbers of a wide range of bedding so our annual parcels from the likes of Suttons and Thompson& Morgan are always an event. Gazania Daybreak Tiger Stripe (Suttons) is one of the earliest in flower in the front garden while Antirrhinum Axiom and Busy Lizzie Double Carousel from T&M have just started in the pool-side bed at the back. Sweet Pea Prima Ballerina, grown over a metal climbing frame, has kept the house in flower for a while now. 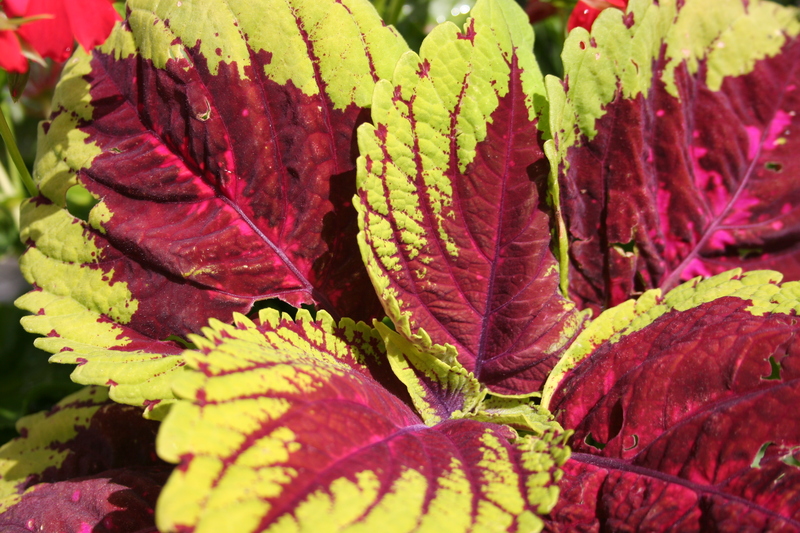 Also from T&M, Coleus Kong mix is at its best with us when well fed in a pot, but less good in the poor soil near the pool. 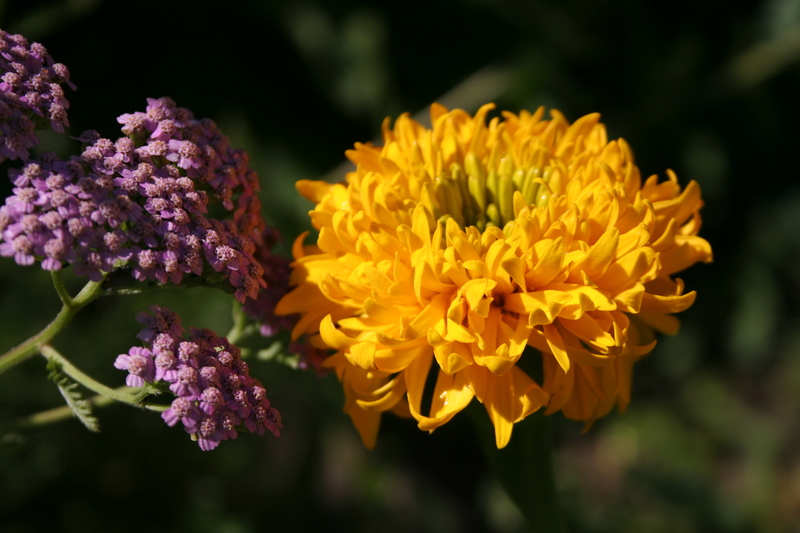 Sutton’s Marigold Golden Puff is just beginning to look impressive, alongside the ornamental, purple-leaved Millet Purple Baron. There will be many more to report on as the season progresses. As I write this piece, impressive quantities of rain, more like a tropical storm than anything expected in Europe at this time of the year, is flattening ornamental grasses and knocking the petals off the Poppies. We have just finished making jam from the box of home-grown cherries harvested by friends of ours. They dropped around for a drink last night and offered the fruit as a generous and very welcome gift. We have made a dozen pots of jam, leaving the remainder for me to preserve in alcohol. The sad news is that one can no longer buy alcohol for preserving fruit from the village chemist, part of the French government’s attack on alcohol abuse; fortunately there are private stills all over town and homemade alcohol is not hard to come by! 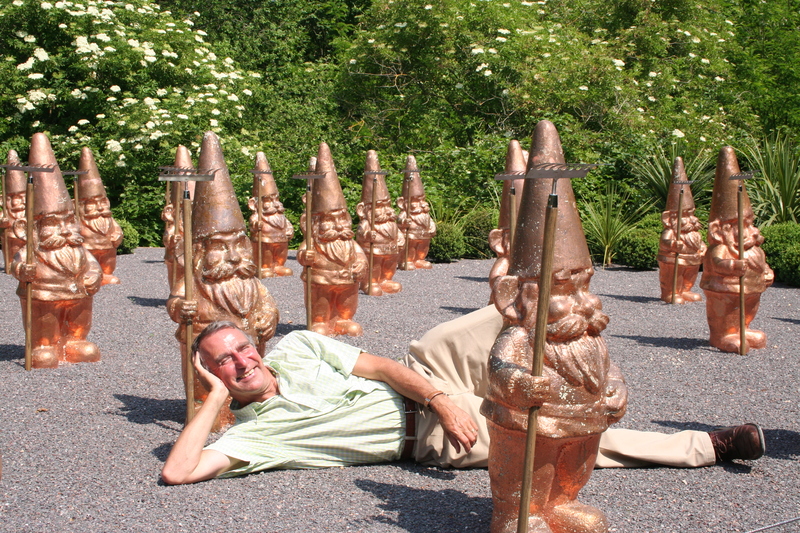 You are never alone with a gnome! Was it only a week ago we were at lunch under the trees at the Chateau de Chaumont sur Loire? It was another exciting day in an exciting week of visits, but quite different from the first. The International Festival of Gardens at Chaumont and the park and gardens of Chateau de Beauregard were our scheduled visits for the day. 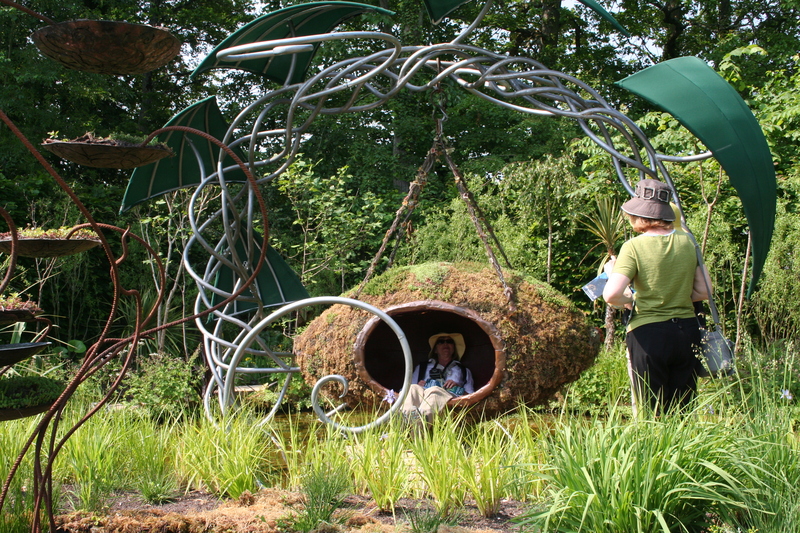 Twenty-six contemporary show gardens, a few barns and a park full of art and a new permanent garden which we did not have time to visit, awaited us at Chaumont. As usual there was much to talk about, gardens to criticise or praise and a whole host of ideas to bring back and adapt in our own gardens. There was so much to see that lunch was a sandwich snack, but no-one seemed to mind. Beauregard was completely different: a vast park and arboretum to explore, but also an area of modern, colour-themed gardens. The chateau had the most amazing portrait gallery, depicting the history of France and it’s most notable personalities. Chantal’s Burgundy-themed evening meal was devoured with relish after a swim and a drink on the patio. January gardening, sowing and lighting systems. Some of you may know that in a previous life I grew seedlings and young plants, hundreds of thousands of them, for the bedding plant industry. Our nursery, Opax Farm in Headley, on the Hampshire / Surrey border, was a state-of-the-art affair consisting of 6 ½ acres of glasshouses on a nine acre site. It had computers controlling everything from the ventilators which opened according to wind direction, the percentage of CO2 in the air, the pH of the water and of course, the air temperature. In case anything broke down we had two of everything and, in event of a power failure, a generator, which could have lit a small town, automatically kicked in, powered by a huge, Rolls Royce engine. This piece of equipment was thoroughly tested in the week we took over, when a passing hurricane cut off our valley from the rest of the world for more than a week! photosynthesis — converting light, air and water into carbohydrates and oxygen to support plant growth. chlorophyll synthesis —building the plant cells that perform photosynthesis. photoperiod — sensitivity to the length of day. phototropism — movement toward a light source. 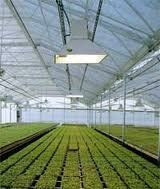 Back in my days at Opax Farm we had a number of lighting systems for a range of plant growing tasks. Strings of ordinary tungsten bulbs had been used by the previous owners to control flowering in crops like Chrysanthemum. This plant requires a very specific day-length to flower and if you need to produce flowers throughout the year you will at times have to completely block out the light, while at other periods of the year create light. 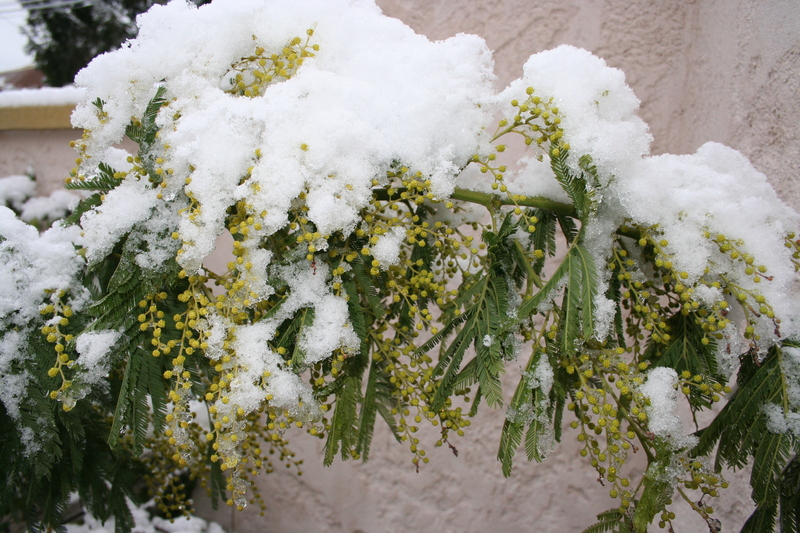 Plants that bloom in the winter, such as Christmas cactus, poinsettias, gardenias and chrysanthemums, don’t flower unless the nights are longer than the days. 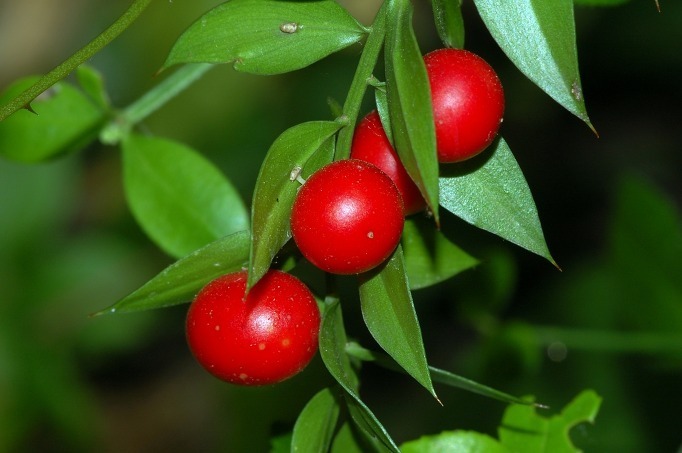 They are referred to as long-night plants and for the most sensitive long-night plants even one minute of bright light during the night is enough to prevent them from blooming. In general, long-night plants need a maximum of 10-13hours of light per day to flower. Plants that typically bloom during the summer don’t flower unless the nights are shorter than the days, so they are called short-night plants and include many bedding plants and vegetables. Short-night plants need 14-18 hours of light per day in order to flower. 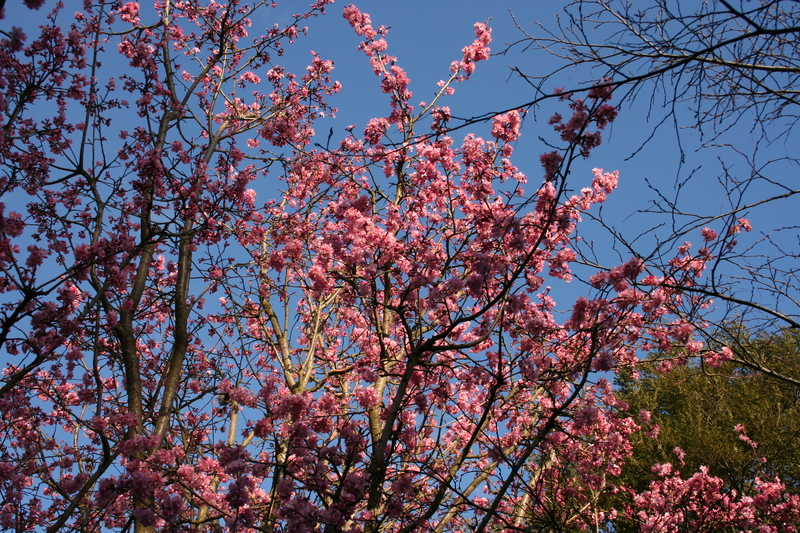 Other plants bloom regardless of the length of the photoperiod, so they are called night neutral plants. Many of these plants are sensitive to temperature variations however, and bloom when the nights are cooler than the days. For early growth and development, plants need the opposite photoperiod: young long-night plants should have long days for the first month or two to encourage full growth before blooming, while young short night plants should have short days. Day length can be manipulated for other reasons, such as the selection of male or female plants early in the cycle, by inducing flowering. 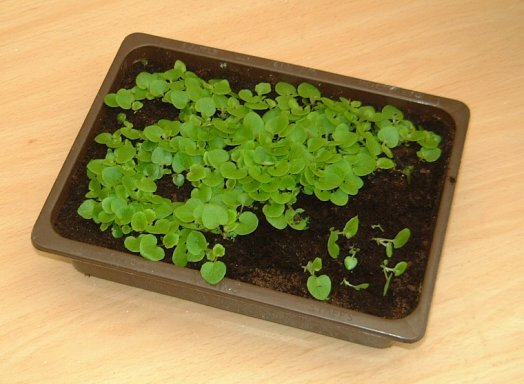 We had a number of growth rooms at Opax in which we germinated seed in optimum conditions. Some plants need light to germinate while others prefer the dark. Trays of recently sown seed went into different growth rooms depending on their requirement for light and heat. With sufficient light levels it is possible to grow plants without any natural light. Several of the plants we grew were needed early in the season when light levels are low: we started sowing Begonia sempervirons for bedding plant growers before Christmas. These plants were placed in an area of the greenhouse where we had lighting to supplement that of the sun, ensuring good, strong, compact growth at the darkest time of the year. Attempting the same thing in our attic later this month, I have assembled a lighting rig to increase the light levels for the seedlings I will grow there. This structure incorporates a number of domestic halogen lamps which I trust will provide a useful boost in light levels but be inexpensive to run. I’ll let you know how we get on. I did have a quick look at the new LED Grow Light units currently being promoted for indoor growing but the cost was far too high for me to justify on my hobby, so my Heath-Robinson construction will have to do for now. 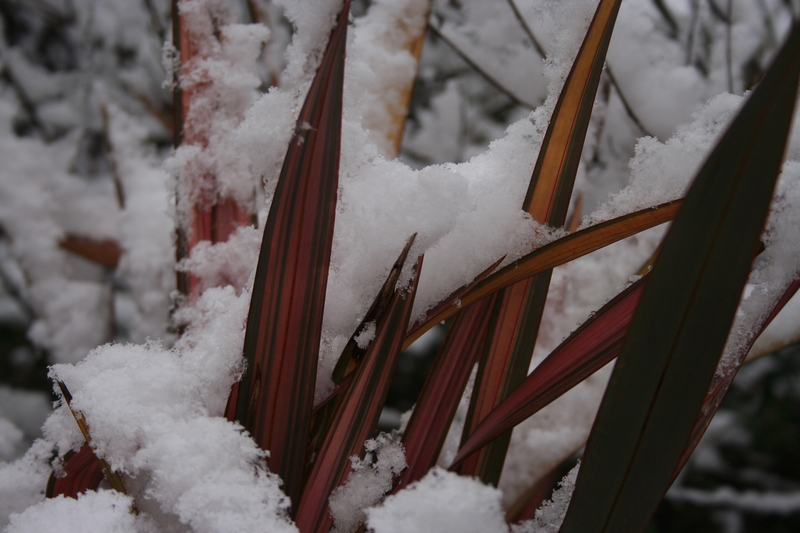 Several Garden Design Academy courses look at the complex subject of plants and light, also considering the types of light most suitable for horticulture by cost, light spectrum, heat emissions and other factors. Some of our RHS courses and the Certificates / Advanced Certificates in Horticulture, are particularly good on this. A Gardener’s Christmas wish list. The festive season has arrived at the Elliott household (we found a bottle of port at the back of Mother-in-Law’s cupboard, 40 years old, if it is a day – the port, not the Belle-Mère) and I’m writing my list for Santa. Naturally, plants are a priority. We have just passed through the mildest and driest autumn since 1900 and December shows no sign of altering the trend. Roses and Geraniums are still throwing out the occasional flower and spring flowering Rhododendrons and Camellias are already opening. Despite this, with memories of summer excess still strong in the memory, the garden seems to be lacking colour. 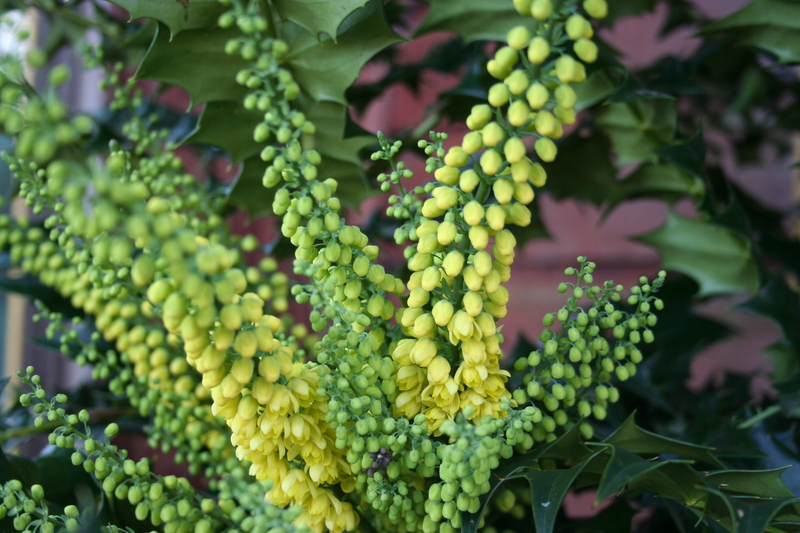 I am hoping Mahonia x. media ‘Charity’, ‘Winter Sun’ or ‘Lionel Fortescue’ would bring bunches of scented sunshine into the cool, misty mornings. As an ex-gardener at the Saville gardens, Windsor, I am very fond of Charity and her rarely seen sisters, Faith and Hope, which were bred at the nursery there. I already have my eyes on a sucker of Viburnum x. bodnantense in a garden in the village, although I am not sure of the variety. The cross of Viburnum farreri (formerly V. fragrans) and V. grandiflorum was originally made by Charles Lamont, the Assistant Curator at the Royal Botanic Garden, Edinburgh in 1933. 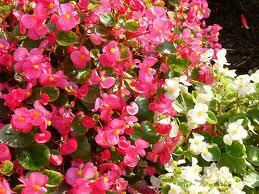 He didn’t rate the resulting plants as being any better than their parents, so did not propagate them. In 1934 and 1935, the same cross was done at Bodnant, hence the name. ‘Dawn’ was the first cultivar to be named, ‘Deben’ was another and, after he died, ‘Charles Lamont’ was also named in honour of the original raiser. I am trying to find out if the French have their own hydrids. Sarcococca hookeriana var. digyna is a great little evergreen shrub that we have grown in several gardens, but do not yet have here in Chabris. It’s the sort of plant you hardly notice until, in December, it produces small, but intensely fragrant white flowers. Our front door faces north and this plant is ideal for these conditions. A small bed, which this summer contained a New Guinnea Hybrid Busie Lizie, awaits. I noticed a specimen of Chimonanthus praecox poking over the wall of a rather grand house in the village last year. 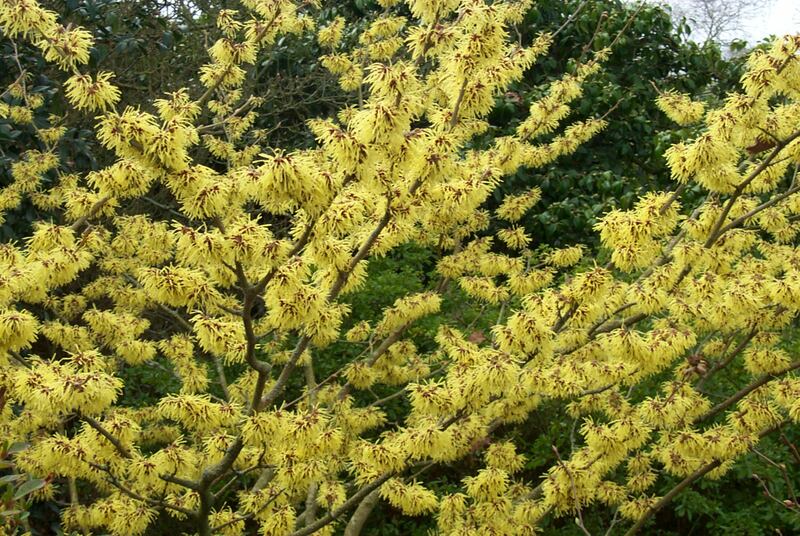 This and Hamamelis are certaining worth growing for winter colour. We already have Hamamelis x intermedia ‘Arnold Promise’ growing amongst other woodland plants near the Sequoias, so a Wintersweet would make a nice addition. Close by, variegated Skimmia japonica Magic Marlot seems to have been in flower forever, Ilex Blue Angel provides a few seasonal berries and further down, a group of Erica Springwood White mark the start of the White Border. The more you think about it, the more desirable plants come to mind. Then there are books: “Planting the Dry Shade Garden is already on order with Timber Press, a company whose stock list is one of the most desirable for gardening enthusiasts. Two other’s recently published by the same company are on my list: Contemporary Colour in the Garden and Designing with Grasses. A £500 Timber Press gift voucher, if such a thing exists, would be easy to spend. Richard Ford’s book on Hostas (Crowood Press) is one of the best I have read on the subject and would have been on the list had I not already ordered it via the Garden Design Academy bookshop. I have also been reading “In the footsteps of Augustine Henry”, a recent purchase from the Garden Art Press, which I have been comparing with an original copy of Wanderings in China by Robert Fortune, another 19th C plant hunting hero. I will never tire of gardening books, or of plants, but I realise buying them for me is not easy…..hence the list. 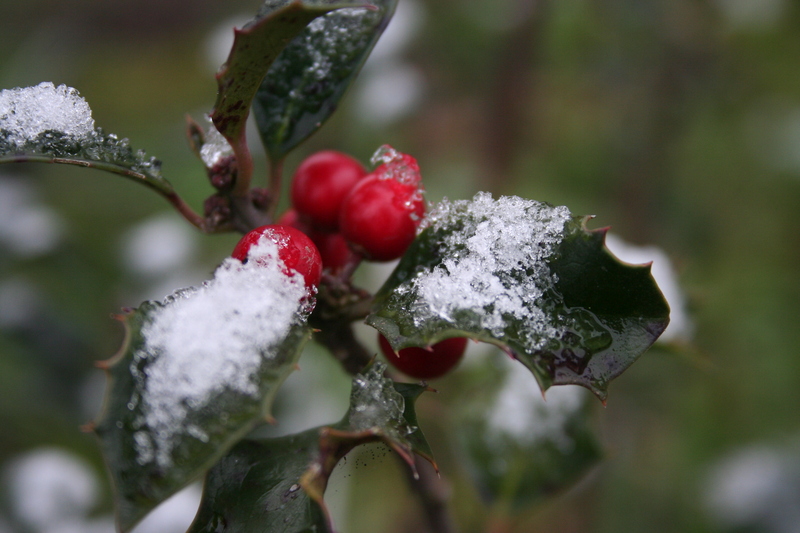 What are other gardening enthusiasts hoping for this Christmas?